Samsung took a page of out of Apple’s book and unveiled its own version of Animojis, dubbed AR Emojis, which debuted with the Galaxy S9. The company is now preparing to further refine the AR Emojis feature, which looked quite creepy when we tried it, by introducing more beautification controls and customization features. The upcoming AR Emojis update brings enhanced facial tracking and a host of customization options that will make your virtual avatar look more realistic and a lot closer to the user’s actual appearance than just a distorted animated clone. And hey, the ability to sharpen your jawline in an AR Emoji is always a welcome feature. 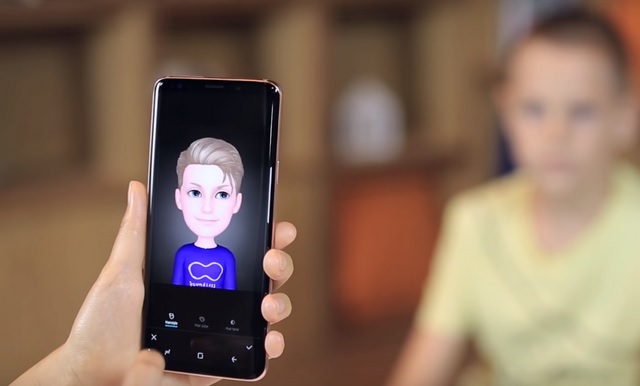 “With the update, after users snap a selfie to generate their AR Emoji, they’ll be able to easily make detailed adjustments to their AR Emoji’s hair, ears and facial features”, Samsung notes in an official blog post. And if the demonstration video of the new features is anything to go by, you can fine-tune your AR Emoji by changing not only the color of your hair, your hairstyle, but also many minor details such as elevation of your nose, the size of your eyes, color and size of the iris and a lot more. The new AR Emojis customization options are available under the new My Emoji Editor function, which is basically a complete aesthetic touch-up toolkit for you to tinker with your digital AR avatar. Moreover, the update also improves the face-tracking capabilities of the AR Emojis feature, with a precise 65% more accuracy in reading the ‘landmark detector’ points, resulting in improved motion tracking. Lastly, the update also introduces frame rate boost, which allows the feature to copy the movements in a more natural way with an overall smoother feel.